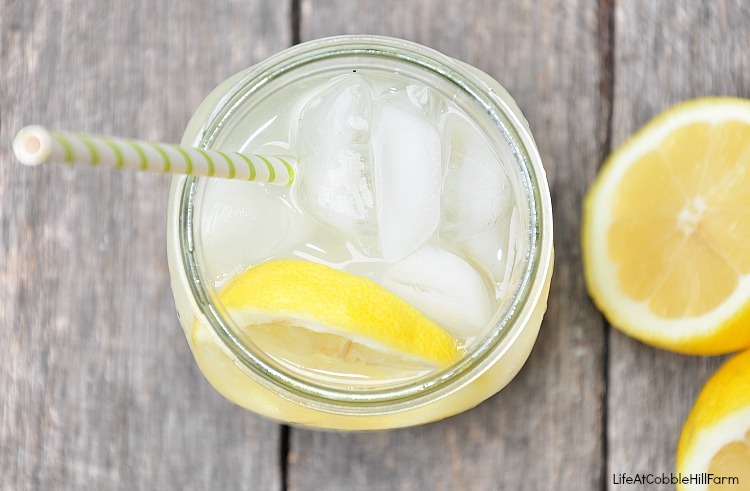 Is there anything more refreshing on a hot summer day than a tall glass of ice cold lemonade? That's what's served at our house on days where we are working in the garden or with the animals and we need a refreshing break. Skip the instant powdered version and make this quick and easy fresh treat! 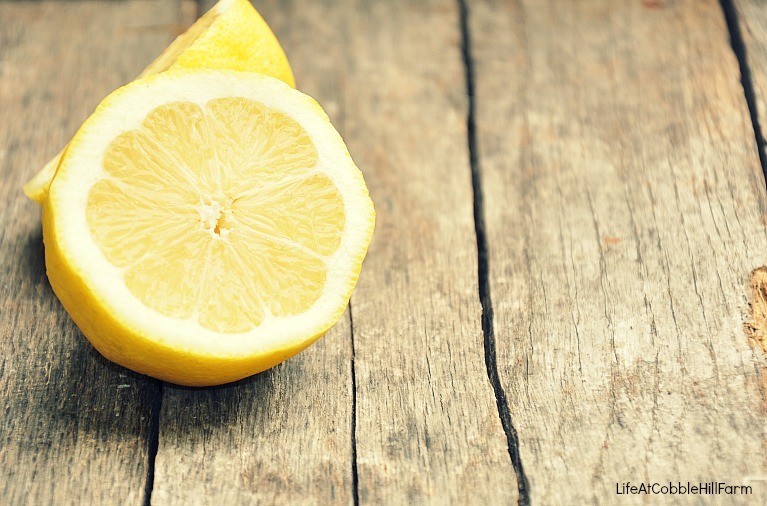 In a quart-size canning jar squeeze the lemon, discarding seeds. Add sugar, water and ice. Put the lid on the jar and make sure it's tight. Shake, shake, shake, and shake some more. Once the sugar is dissolved, take the lid off, add a straw and drink. Alternatively, if you have simple syrup in your refrigerator, substitute that for the sugar and you'll just have to give it a quick stir - no shaking required. I love this! 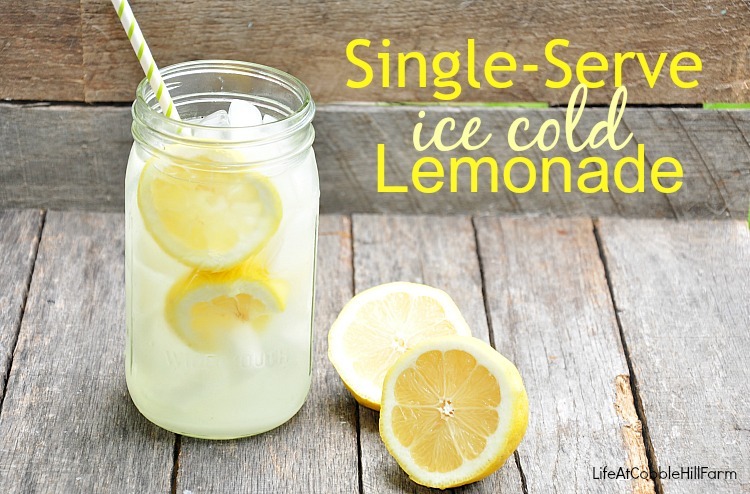 Quick, easy, and refreshing!